we are engaged in offering a range of Deep Freezers. Quality stainless steel is used to manufacture the inner chamber of thick gauge and is duly polished and welded to make them completely leak proof. 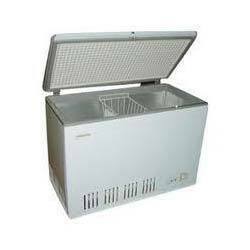 This superior make Deep Freezer is highly appreciated for its advanced features and high efficiency. It is made of high grade material and advanced technology to ensure its high durability. Looking for Deep Freezer ?